How much should you spend on a blender to use in your kitchen? A blender is one of those kitchen utensils that can vary greatly in price, from the tens of dollars to the mid hundreds. There’s no easy answer as to how much you should pay for a blender, a good deal of the decision is going to depend on what you want to use it for. Of course your budget will also need to come into the equation. If you’re a nutrition fanatic, and the blender is going to be put to work to make everything from soup to purées and from nut butter to baby food, then may want to invest in a powerful machine that’s going to withstand the workload. On the other hand if you’re just a smoothie a day person you probably don’t need to break the bank. What’s the difference between the different priced blenders? The blenders at the top end of the market are expensive, there’s no two ways about it, but they do have impressive blending strength. They have a real work horse of an engine and precision engineering that makes sure whatever you are blending is literally pummeled away. They are sturdy and strong and they will endure a large amount of wear and tear. Not to mention, they are the nutrition aids that are popular to be seen with. If you’re interested in keeping up with the neighbors, these are the blenders that you aspire to. Now, if you have the budget, you may want to have one of these mean machines no matter what, but do you really need it? 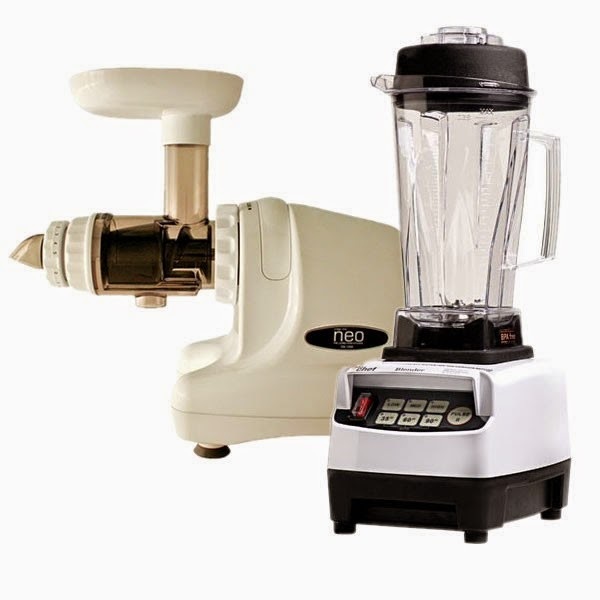 There are plenty of blenders on the market in a lower price range that will do a job for normal day to day blending. The mid-price range blenders, at around $100, will happily withstand your normal soup and smoothie demands without surrendering under the pressure, and it has to be said that even those blenders in the lower price range are worth considering if you’re not a major foodie. Let’s face it, if your blender is only going to see the light of day a couple of times a week, and you’re happy with a relatively smooth smoothie, you may be quite happy with a lower end blender that does a basic job. If you don’t want to invest in a standing blender then you may want to consider an immersion or “stick” blender. If you have an immersion blender then you literally just have the stick; the motor is situated in the handle. This may be a good option for you if you are limited to the amount of storage space you have, and you only blend small amounts. For larger jobs, such as blending a whole kale, you really need to use a standing blender. If you love your smoothies and soups then a blender is a great addition to your kitchen. If that’s as far as your culinary blending exploits are likely to progress then you don’t need to spend a huge amount on a blender. If you want to blend away for hours, with a high rate of blending power, then it may be worth taking the plunge and making that big investment. The bathroom can sometimes be forgotten when it comes to interior design, but a beautiful bathroom can truly make a house a home. When designing or fitting your bathroom we all know that it can be difficult choosing furniture that’s not only functional but also adds to the design of your space. To us a good bathroom is a well-organised space and when it comes to bathroom storage a high quality bathroom vanity is integral. The humble bathroom vanity is more often than not seen as a pretty functional piece of furniture. It is used to hide unsightly plumbing, house your sink and provide accommodation for your towels or toiletries. We have complied some innovative bathroom vanity options for you to consider if you’re looking to get the balance of storage and aesthetic just right.By making the right choices when it comes to bathroom furniture you can transform your basic bathroom into a stunning sanctuary for you and your whole family to enjoy. Whilst many vanities provide under sink storage they can sometimes have a faux-panel directly under the sink to hide the basin and any plumbing. When this top drawer is inaccessible it often leads to the vanity having just one usable, low level drawer giving you just one large space to house all of your items. This can be annoying at times and some of your items may be difficult to reach for. Offset vanities add space either on one or both sides of the basin. This allows for extra drawer space allowing you to organize your products much more efficiently. When adding smaller drawers to either side of the sink at waist level it also provides easier access to your products without the need to bend down. Some designs add extra spacing to just one side of the sink, this allows for a whole column of drawers down one side for storage and extra counter space. This extra counter space can be great to place your everyday items on or even to decorate with something that adds to the look and feel of your bathroom space. Vanities that use sliding doors are a great choice for narrow or small spaces where opening a door or pulling out a drawer may be difficult. Vanities with sliding doors usually leave the area underneath your basin exposed meaning you can utilize all the space around it, this is great news if your bathroom is a little on the small side. Corner pieces are brilliant at making the most of small spaces and usually come in both traditional and contemporary designs. Depending on the size of your space some corner vanities come with an extra column of drawers or even built in shelves either side of your sink basin. Sleek, minimal and modern vanities not your first choice?Although the word ‘innovative’ usually lends itself to more modern designs traditional or vintage bathroom vanities can also be the answer to your storage problems. Although most traditional vanities will have a faux-drawer panel they usually make up for it by being generally larger in size. Pieces such as this one from Abiletilecentreare are a great example of this. As well has being home to an array of drawers in different sizes pieces like this are bursting with character and can be the stand out piece in your bathroom. Pieces like this are made to last a lifetime so although they seem a little pricey at the time do not be discouraged, instead see a piece like this as an investment. For a wide range of bathroom vanity options visit Abiletilecentre.